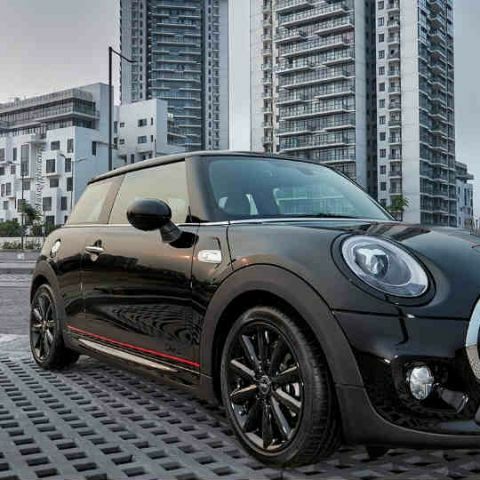 Amazon is giving you the chance to book the limited edition Mini Cooper S Carbon Edition exclusively via its website. Prices for the car start at Rs. 39.9 lakhs and users will be able to book the car for Rs. 50,000. If you are interested, you better hurry as only 20 cars are available for booking. Also, it is currently the only car you can book on Amazon. The car offers 210HP (as compared to 192HP on the standard Cooper S) and can accelerate from 1-100km/hr in 6.5 seconds. It also comes with a JCW body kit that includes a front bumper/splitter, exclusive decals, and a 17-inch Cosmos Spoke Alloy wheels. You also get carbon fiber exhaust tips and a Bluetooth controller for controlling the exhaust valve. This lets you control the ‘sportiness’ of the sound of the car. Inside, you get Alcantara leather and red Dinamica seats with integrated headrests and manual lumbar support. There is also a leather steering wheel with paddle shifters, head up display, and a 6-speed automatic transmission with launch control. Further, the car claims to offer about 15.75km per liter (if that matters to you). If you have around Rs. 40 lakh to spend on a new car. Then you might want to check out the the Honda Accord Hybrid, which was launched a few days ago. While it may not be as fast as the Mini Cooper S Carbon Edition, it sure helps save the environment. In addition, you get 23.1km per liter, which is never a bad thing. Can EF lens be used on EF-S mount camera?